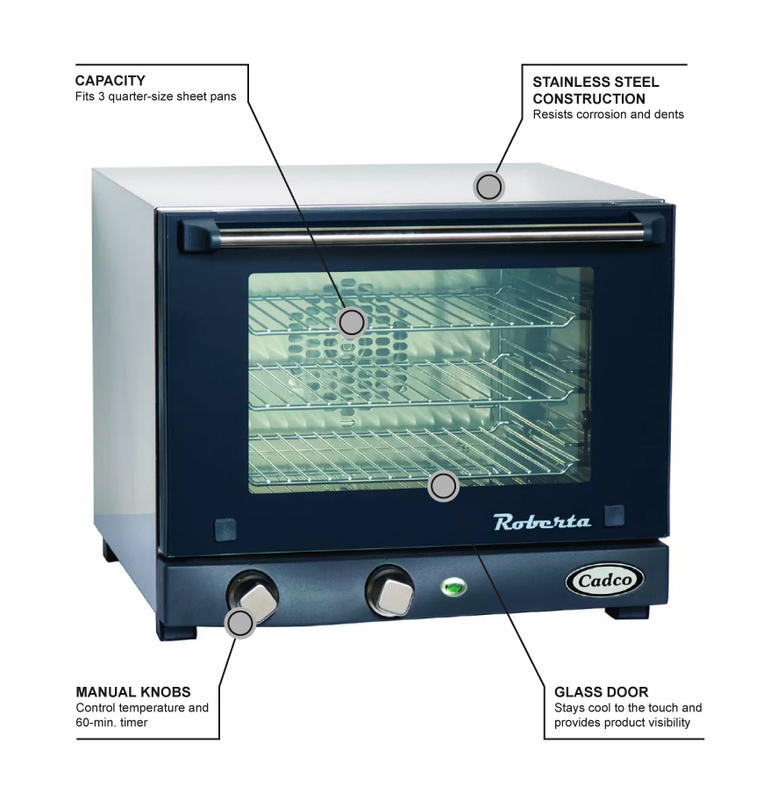 The Cadco OV-003 countertop convection oven is perfect for smaller foodservice businesses that want an oven but may not have the kitchen space for a full-size unit. 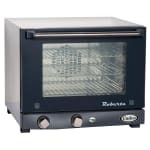 Its small size lets you easily place the oven on the countertop. 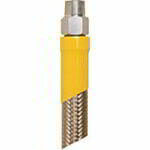 The Dura-Body, stainless steel construction is heavy duty for commercial use and is easy to clean. 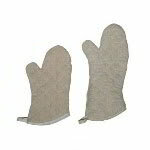 Insulation is used throughout the oven to keep hot air inside. You can easily check on food without opening the door thanks to the double-wall glass door; it also stays cool to the touch to prevent injury. The temperature range on this oven is from 175 to 500 degrees Fahrenheit and can be controlled with a manual knob on the front of the oven. The timer runs up to 60 minutes and has an end-of-cooking-cycle buzzer. The oven also comes with a manual control knob. 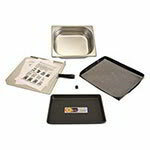 Three shelves come with the Cadco OV-003 countertop convection oven, and it has a capacity of three 1⁄4-size sheet pan. 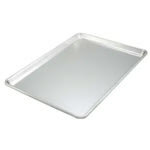 A patented baffle creates even airflow so food is evenly cooked. A squirrel cage fan moves a high volume of air to bake foods quickly. 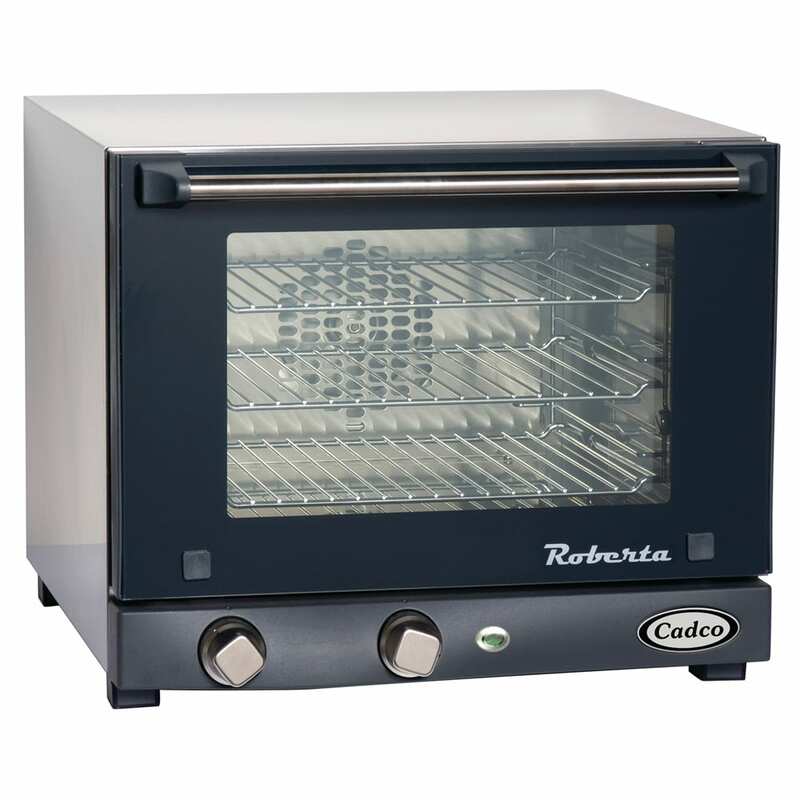 "This is a powerful little oven that makes a lot of noise, especially when you open the door!"